I'm familiar with the endo rule as well as the regioselectivity of the reaction. 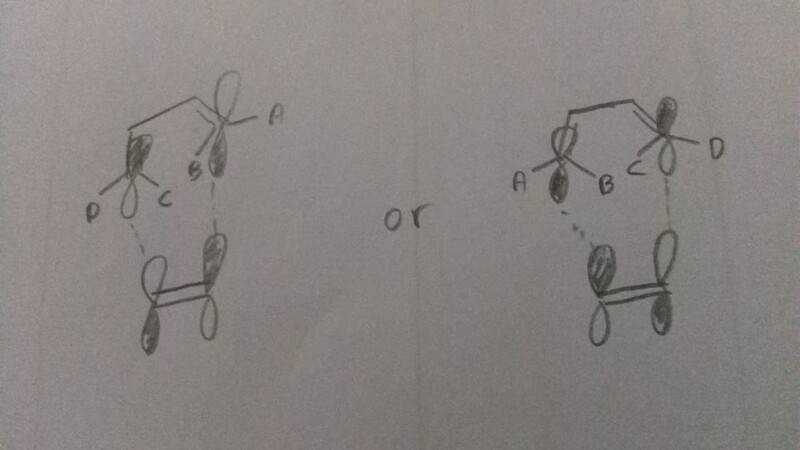 However, what I fail to understand is the stereoselectivity of the product in relation to the diene. For example, in the image below, which one is the correct product? I used to consider only 1 but I've seen several examples, in notes handed by my professor and some books, that provide only 2. Also related, which one is accepted from the approachs below? I've seen only 1 being discussed but why should 2 be excluded? From what I've tried, they lead to different products while the orbital rules are not violated. I've seen similar questions with no answers however. Also, books like Clayden's or March's do not point out something similar from what I've seen. The same goes for any website I've checked. 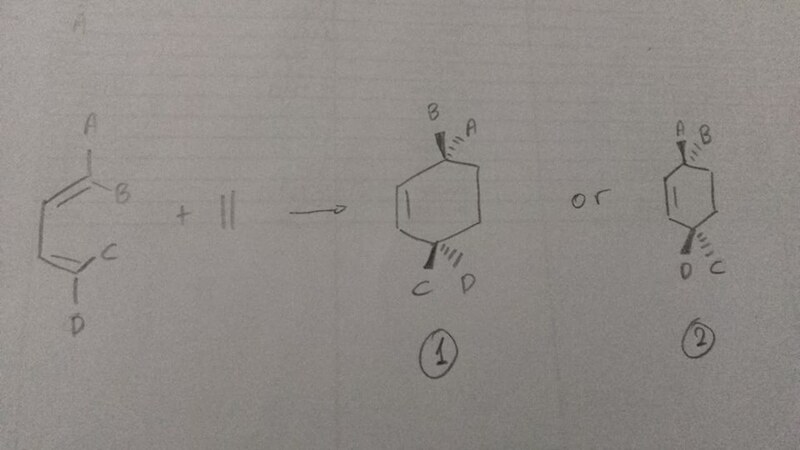 Browse other questions tagged organic-chemistry reaction-mechanism stereochemistry or ask your own question. What is the correct product of the Diels-Alder reaction between 2-ethoxybuta-1,3-diene and (Z)-acrylaldehyde-3-d? How does one understand the product of a Diels Alder reaction?